This is what I came up with one hot day when I wanted to whip up a decadent, nutrient-rich snack for my fellow trainers and clients…without turning on the oven. 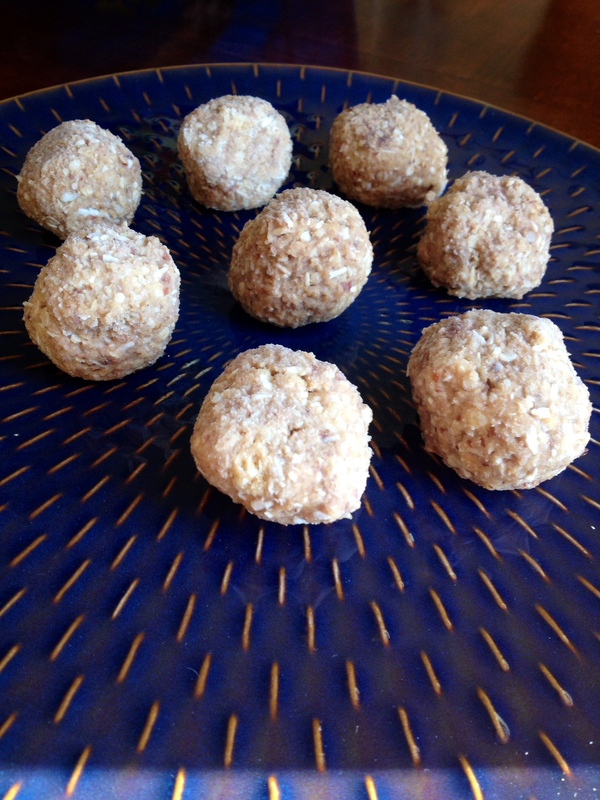 Mix, roll into balls, and throw in the freezer. That’s it! Line ’em up in a tupperware, cover and freeze.